Although I feel like writing that is going to jinx it somehow.. or cause something to break. It's the room that has been 90% done for months, but there's always something little that needed to be finished. 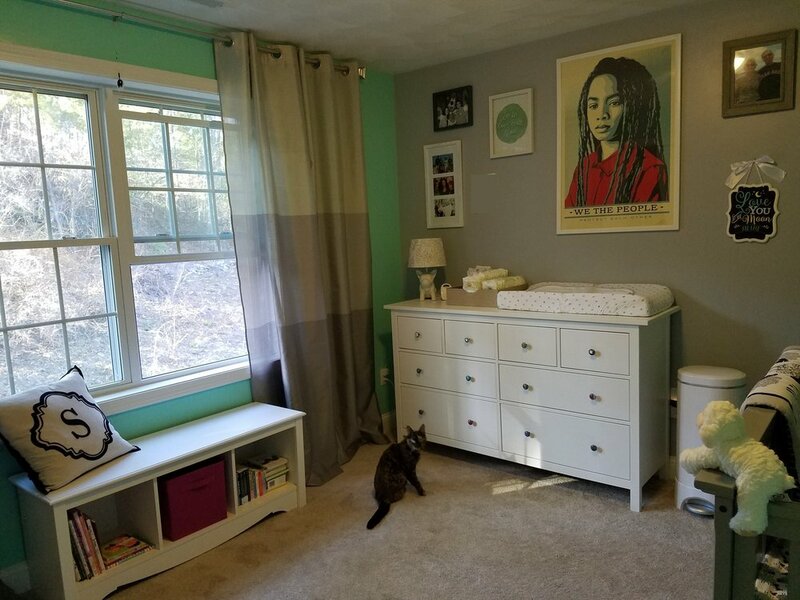 But finally the last piece of furniture has been put together, pictures have been framed and hung on the walls, baby supplies have been organized, the mobile is finally up... it feels ready. 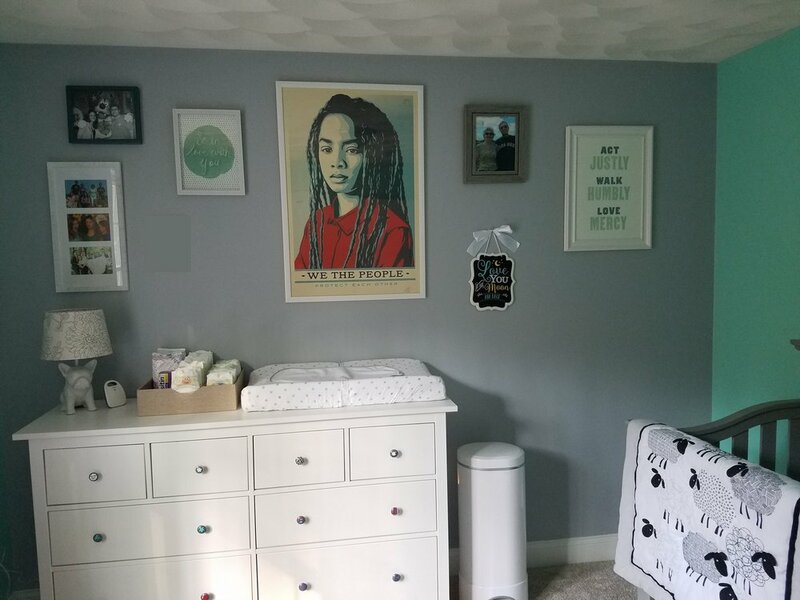 And although I've already shared numerous posts on this tiny room, and showed off a lot of pictures, there are still things left to show you! I showed you the knobs I painted, which comes along with the new dresser and changing station. In addition we've finally hung up all the wall art we've been collecting over the past many months. We'll probably still add some more thing to the walls, but for now they're feeling pretty complete. Or at least more complete than an empty wall felt! We've managed to get in a good mix of things I think. My favorite bible verse, some social justice, family pictures, and some fun. All nicely color coded! Also under the window is our new reading nook, complete with bench that holds books and any toys that aren't currently stored in the closet. This picture also gives some good perspective on the overall size of the room - not huge but a pretty good size for what we need. Also you can probably see from these pictures how hard it is to get an accurate picture of the color of the walls. I feel like every picture I take they look different.